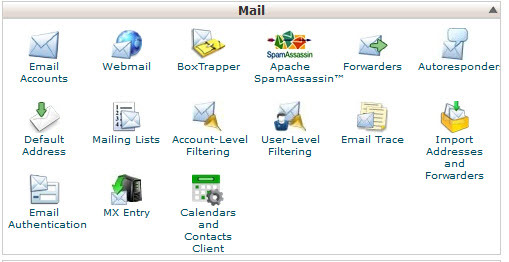 Apache SpamAssassin is a Open Source anti spam software for administrators to filter email and block spam mails. It is Apache Software Foundation project.cPanel is a Linux web hosting control panel for your website. Replace your site with your actual website address and your server ip with your actual ip addrees. We strongly recommend that you allways log in via port 2083 (with SSL connection). In the Mail section, find and click Apache SpamAssassin. 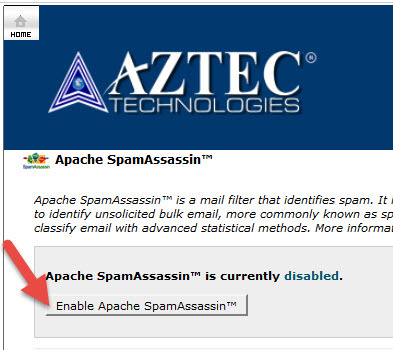 In the Apache SpamAssassin page, click the Enable Apache SpamAssassin button. There is also some other options available in settings page. Using this Spam Auto-Delete function You can automatically delete messages that the system marks as spam based on email score. 5 is the default. Spam Box of Apache SpamAssassin will deliver any emails that the system identifies as spam into a separate mail folder named spam. You can also blacklist and whitelist the mail ids from Apache SpamAssassin Configuration option.